Game on! Our gaming floor features more than 900 Gaming Machines with all of your favorite titles. Enjoy a variety of dining options including the Midway Buffet and home town favorite, Blue Ribbon Grill. Get more out of your gaming experience by becoming a member of the Lucky North Club today! Win $99 Free Play every 15 minutes! Thousands in Cash Drawings from 7 pm - 10 pm! Swipe your Lucky North Card at the kiosk to win Free Play, NY Lottery Scratch-offs or Food! Have an April Birthday? Let’s CELEBRATE! 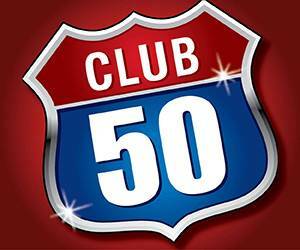 Members age 50 and up enjoy exclusive benefits every Wednesday! Your Calendar could be worth $2,019 with Calendar Cash! 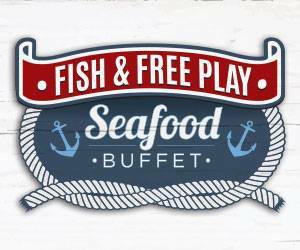 Enjoy a delectable variety of seafood dishes at Midway Buffet and get $10 Free Play! Join us every Sunday for Brunch at the Midway Buffet! First Mimosa or Bloody Mary is on us! 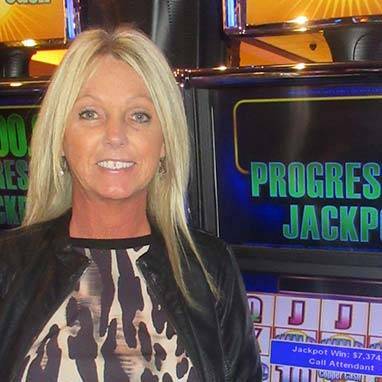 Joy from Akron - just one of our big gaming winners at Hamburg Gaming! Will YOU be our next big winner? Surround yourself with excitement in the Cyclone Bar! Join the Lucky North Club! Receive up to $100 in Free Play ! Click above to pre-enroll and start earning today!